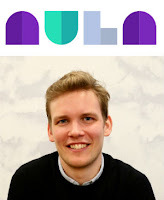 Interview with Anders Krohn, CEO and Co-founder of Aula Education. Aula brings students, staff, and educators together in a digital environment that encourages interaction and collaboration. The meaning of the name "Aula"